REDAVIA, the pioneering solar farm company, is hiring an Electrical Engineer to support growing the company’s solar farm mini-grid portfolio in Tanzania. REDAVIA manufactures, finances and operates leased solar farms in East and West Africa. REDAVIA’s mini-grid solution provides off-grid communities with reliable energy to power, not only household loads such as lights, phones and appliances, but also productive loads such as milling, welding and pressing. 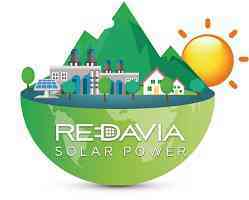 REDAVIA’s executive team is composed of seasoned solar electricity professionals and combines hands-on experience in solar farm deployment, emerging market solar finance and B2B sales. REDAVIA enjoys the strong support of several funding partners, including KawiSafi Ventures, DEG / KfW, ResponsAbility and InfraCo Africa. To support REDAVIA on its steep growth curve, we are recruiting an Electrical Engineer, based in Dar es Salaam, Tanzania with frequent travels to sites. The target start date is mid-February 2019. ● Assist in the importation process and other related activities of REDAVIA in Tanzania such as customs clearance, license acquisition, etc. ● Flexibility and Adaptability Competence: Willingly adapting to constantly changing circumstances while maintaining a corporate perspective. Engaging in continuous learning, adjusting the application of knowledge, skills and abilities while addressing new challenges as contextual realities change. ● Fluent in English. Swahili a plus. REDAVIA is revolutionizing the energy supply for emerging and frontier markets, creating unparalleled environmental and development impact at scale. We offer the Electrical Engineer the opportunity to make a difference in a professional, non-hierarchical and friendly work environment: Work that matters in an enjoyable team. If you are eager to take this opportunity to put a dent in the universe, please send us your resume and a short introductory email (in English) to Teamtanzania@redaviasolar.com We hope to hear from you!